Looking for things to do in Savannah this July 4th? Celebrating Independence Day in the “Hostess City” as Savannah is known, is fun, and can be as wild or mild as you want! Every July 4th, River Street is the place to be. You’ll see jubilant crowds strolling up and down the Savannah River, to-go cups in hand, bar hopping, eating, and shopping. Everyone will be partying in anticipation of the huge Independence Day fireworks show, and it gets bigger and better every year! Show your patriotism, and enjoy the biggest fireworks show of the year at the River Street 4th of July Celebration! Hear live music at the Rousakis Plaza Arbor Stage on the river, take the kids to hang out at the kid’s zone, or buy a drink at the first bar you see, grab a to-go cup and get walking. The fireworks start at 9:30 pm on Tuesday July 4th, rain or shine. You’ll have a good view of the fireworks show from anywhere on River Street, but be warned, the City of Savannah prohibits viewing the show from city-owned parking garages. The festivities “officially” start Monday July 3rd, but Savannah gets excited about any excuse to party. In reality, the party starts Fridaynight and runs until the end of the night on the 4th. Head to River Street, Broughton Street, or City Market, and you’ll find a bar, club, or restaurant to suit your mood. Most bars will serve alcohol until 3am, which is the final cut-off per city ordinance. 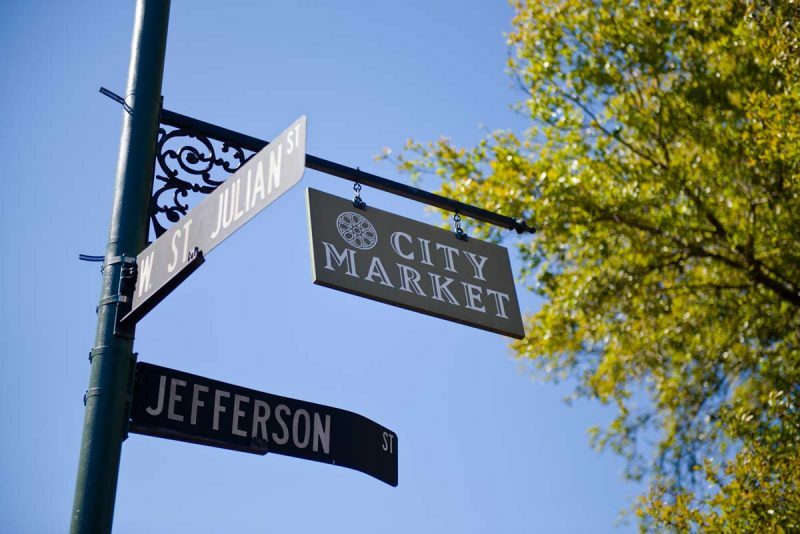 City Market bills itself “the Art and Soul of Savannah”. Located inside the Historic District, between historic Franklin and Ellis squares, City Market is packed with bars, restaurants, and art galleries. You’ll hear live music every night in the open air of the shaded courtyard, sometimes from local performers, sometimes from big names. There’s never a slow night at City Market, but it will be positively packed with revelers in the days leading up to July 4th. 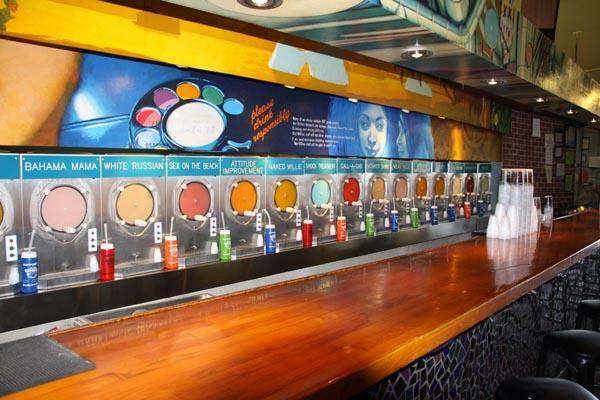 Enjoy nearly 20 flavors of frozen drinks, or make up your own at Wet Willie’s. Grab one to go, or hang out in the lounge. But be careful – the drinks here are STRONG! Featuring buffalo wings from mild to “Chernobyl” and even hotter, somehow, Wild Wing Cafe in City Market is a bar, restaurant and a party. Live music all day July 4th, featuring Liquid Ginger! Started by college friends who wanted a place to drink and hangout, Vinnie’s has become a Savannah landmark. Selling pizza by the slice or the pie, draught beer, and facing a square, Vinnie’s is where the locals come to eat pizza. 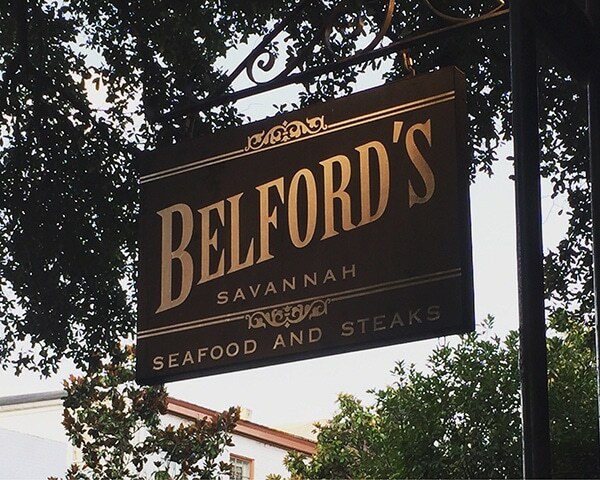 At the complete opposite end of the dining spectrum, but just across the courtyard you’ll find Belford’s. A fine dining experience featured by Bon Appetit and The New York Times, Belford’s has an amazing menu, craft beers, and rare wines. There are also 14 stores for shopping tucked into the storefronts and warehouses that make up Savannah’s City Market, and five art galleries including the Thomas Kinkade Gallery. Don’t miss the Art Center which features local artists, where you can meet the artists and watch them work! 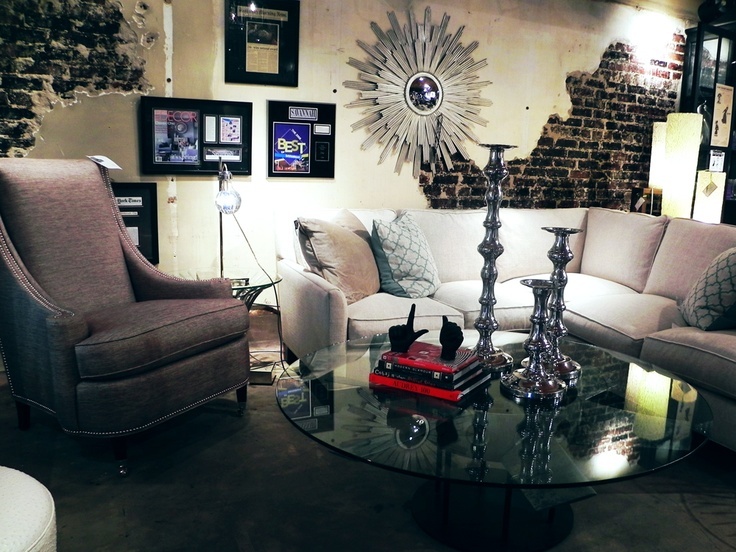 Downtown Savannah’s premiere shopping district is definitely Broughton Street. The mile-long street has recently undergone a $75 million renovation, which attracted big brand retailers to the landmark street. You’ll find Savannah’s only H&M, as well as GAP, Banana Republic, Club Monaco, Kate Spade New York, MAC, Michael Kors, Sperry, Urban Outfitters, and Vineyard Vines, just to name a few. If it’s a drink you seek, check out World of Beers, or the Savannah Tap House. Restaurants are a plenty. 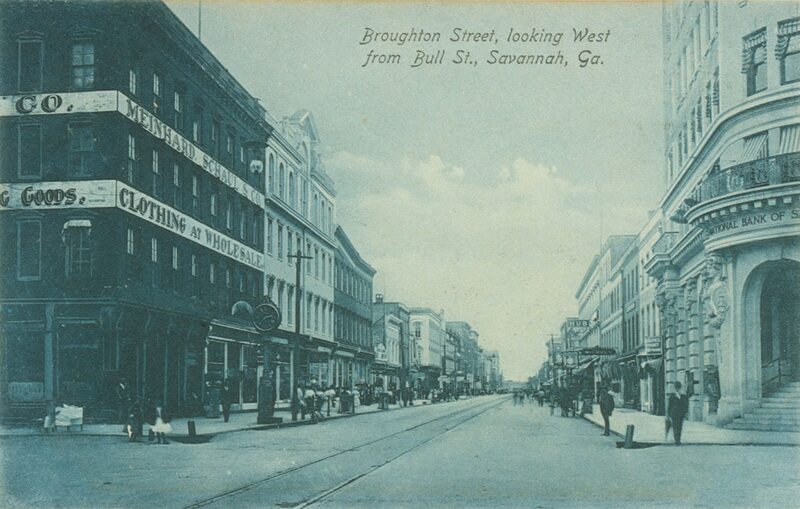 Visitors to Savannah wishing to “shop local” have plenty of opportunities to find new brands on Broughton St. Owned by local celebrity Ruel Joyner, 24e is named for it’s address: 24 E Broughton. 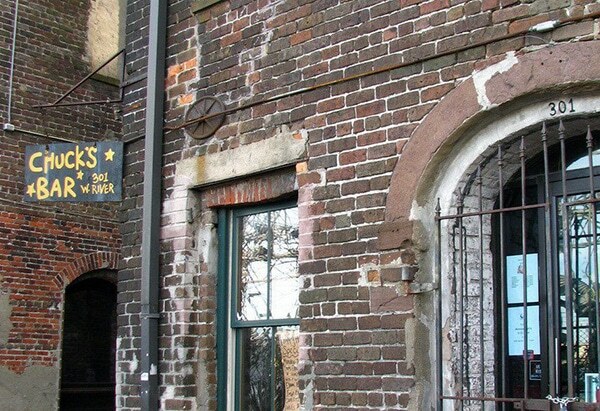 Located right in the geographic center of Broughton, it isn’t hard to find. In fact it’s impossible to miss. You can’t pass by without looking in at displays of the finest, modernest, or just plain craziest furniture you’ve likely ever seen! An engine from a decommissioned private jet? Yep. That’s a coffee table now. Or a dining table that was once the door of an airplane! 24e is so unique, that many big name retailers have tried to buy, license, or invest. But Ruel has always turned them down, and here’s hoping he always does! Headquarted in Savannah, this fast growing company is home to the world’s finest honey. 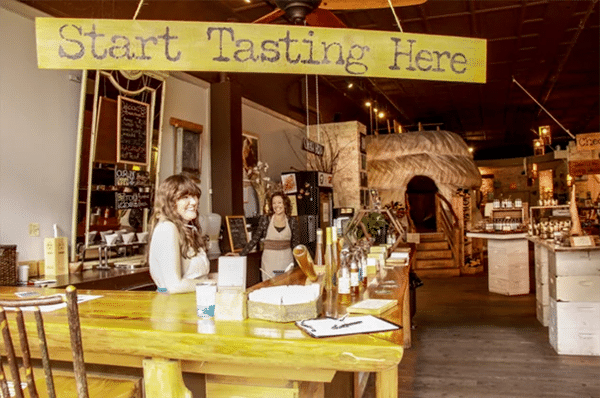 Opened in 2009, its flagship store on Broughton Street is where you’ll find a honey tasting bar, beverages sweetened with honey, natural health and beauty products, and tons of bee related gifts. Be sure to try the Mead bar. Mead is an alcoholic beverage made by fermenting honey and water, with fruits, spices or hops. Mead is tasty, and can be weak, or up to 20% alcohol by volume! Oh, the 80’s and 90’s! A magical time that is still alive at Planet Fun. 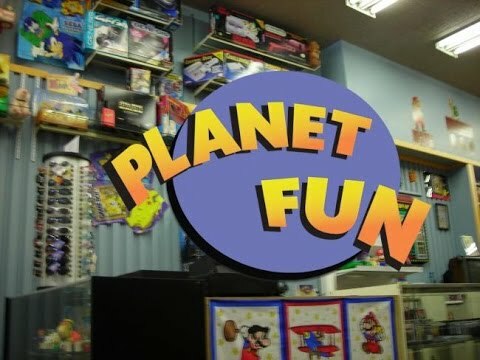 Come inside Planet Fun, and you’ll be surrounded with toys and “ancient” artifacts going all the way back to the late 1970’s. On display (and for sale) are working Nintendo’s, Atari’s, Sega, Playstation, and rare video games! They sell (and buy) Star Wars ships and figurines, Star Trek memorabilia, pokemon, My Little Pony, He-Man, GI Joe, Care Bears, and basically anything of the like. The people that run Planet Fun, are, well, fun. Stop in and check it all out! 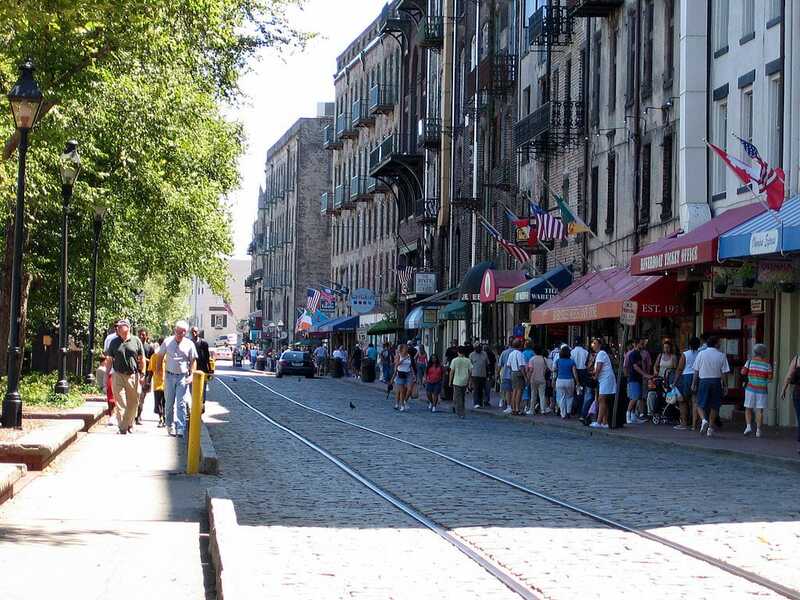 River Street is the heart of Savannah’s Independence Day Celebrations. If you can’t find something to do on River Street, then go back home and yell at the cat while you watch Matlock. Stop in and grab a drink at everyone’s favorite dive bar, Chuck’s Bar. 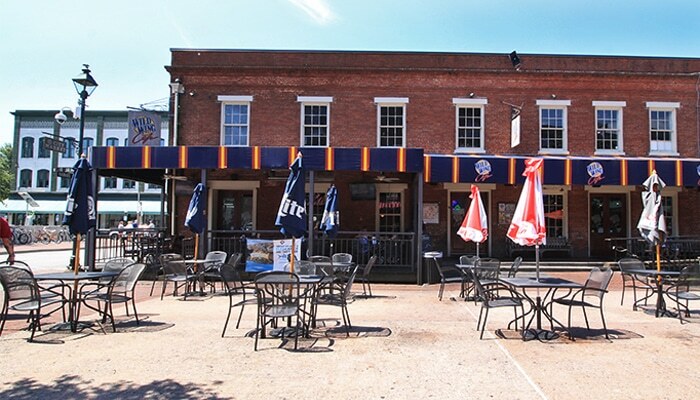 Housed in an old warehouse facing the river, Chuck’s is the “Cheer’s” of River Street. The drinks and atmosphere attract all the local food and beverage workers from the area when they need to unwind. Come at the right time, and you can get the inside scoop from the local service workers about what’s happening in town Right now! When the karaoke starts, stay for the fun, or step out onto the 200 year old cobblestones, and make your way down the river. This two story pub has live music every night, waterfront views, and serves up real Irish food. Locals can’t even remember a time before Kevin Barry’s existed on River Street (we drink a lot, and 1980 was a long, long time ago). The bar is dark, cool and inviting, the building is old as hell, and the feeling is authentic. In fact, the Irish Pubs Global Federation named Kevin Barry’s the “Most Authentic Irish Pub” in the world for 2016! 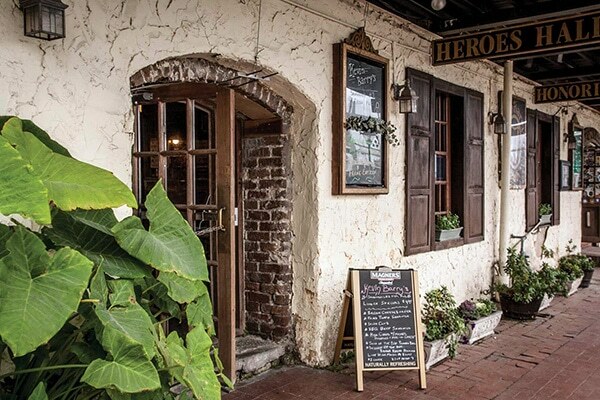 Wander in to Kevin Barry’s on River Street and enjoy a pint in the most authentic Irish pub on the planet. You’ll be glad you did! On Saturday July 1st, visitors 21 and up, won’t want to miss the chance to be patriotic AND sample Savannah’s plethora of watering holes. The bar crawl takes you to 12 bars in Savannah, is at your own pace, requires you wear patriotic attire, and benefits charity. The fun starts at 4pm Saturday, and ends at 10pm. To register, simply show up at Pour Larry’s around 4pm, wear your red, white, and blue, bring your ID and some cash! Or register now for a discount on the event page. Have fun and drink responsibly! 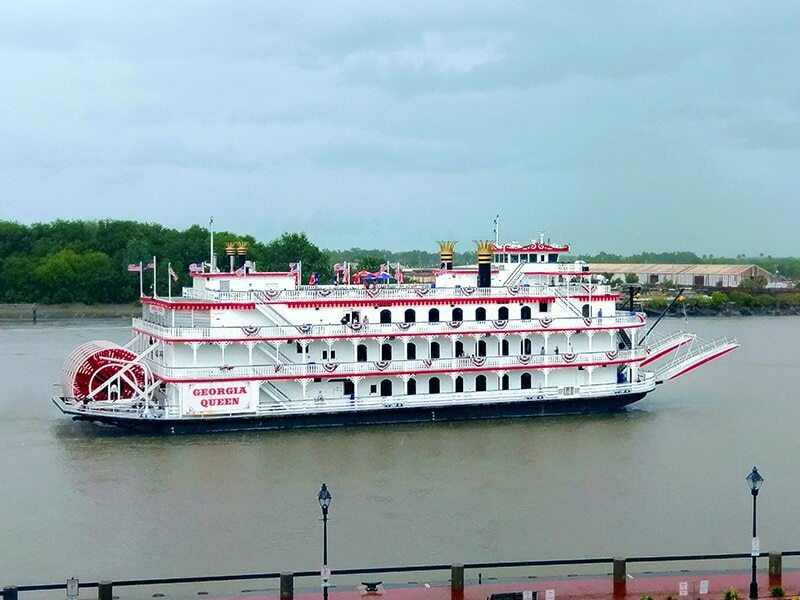 If you spend any time at all on River Street, you’ll see the “Georgia Queen” riverboat paddling up and down the Savannah River. The 1,000 passenger vessel has a 15,000 square foot ballroom, 3 story kitchen and 5 star dining with plenty of views. Visit Savannah this July 4th, and book a cruise with Savannah Riverboat Cruises. You can choose the Dinner and Fireworks package, or skip dinner, and just select the Fireworks Cruise. Dinner and Fireworks starts boarding at 6:00pm and leaves at 7:00pm. The Fireworks Cruise begins boarding at 8:00pm and leaves at 9:00pm. To make reservations go to savannahriverboat.com. But, the best seats in Savannah to view the fireworks on River Street are at The River Street Home. This private Savannah vacation rental is located directly on River Street, and has two river-facing balconies. 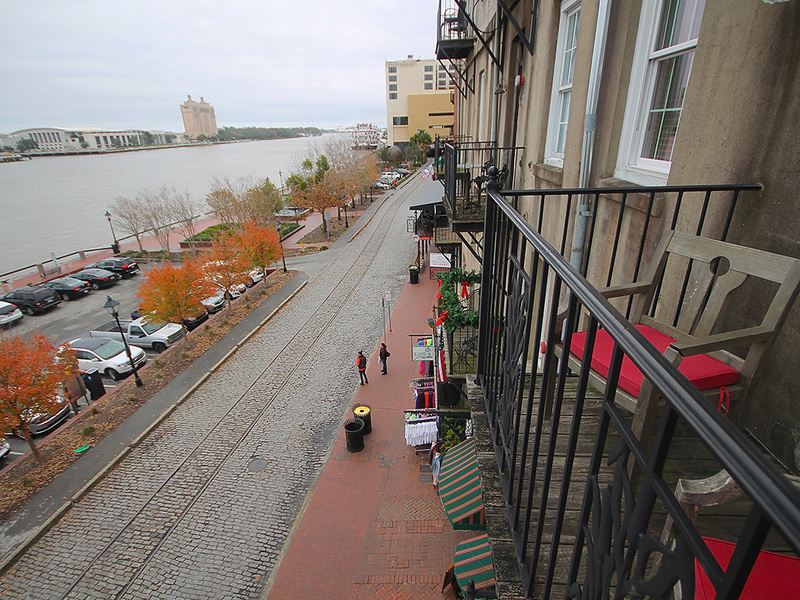 Perfect for viewing the fireworks, the activity on the cobblestones below, and the boats on the Savannah River, your perch will be the envy of every passer-by on the street below. The entire main floor is 3 stories above River Street, and has an open concept kitchen/den perfect for entertaining. With views of the Savannah River and the Talmadge Bridge, guests can have a seat at the bar stools or couch and sip a cocktail eating hors d’ouvres in luxury. The Master’s Suite is directly underneath on the floor below, and features another private balcony facing the river, perfect for viewing fireworks. Another couch sits in the den of the Master’s Suite, offering views out the windows on to the river. River Street Home features three bedrooms and full bathrooms, two dens, a formal living room, dining room and views, views, views. Savannah Dream Vacations is proud to offer this property just in time for 4th of July in Savannah. To book this private Savannah vacation rental, call us at 912-713-7278, contact us, or book now! Dramatic architectural details give life to the one bedroom, one bath Romantic Parkside Carriage House. This unique vacation home even boasts a lovely courtyard.